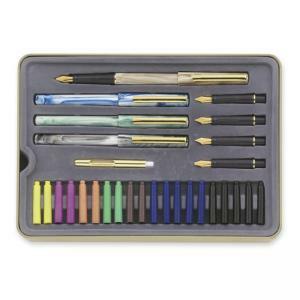 Calligraphy pen set offers interchangeable nibs in five different sizes: extra fine, fine, medium, bold and extra bold. Included water-based ink cartridges come in seven colors. Use included metal pump with bottled ink. Step-by-step instructional book shows three different styles of calligraphy. 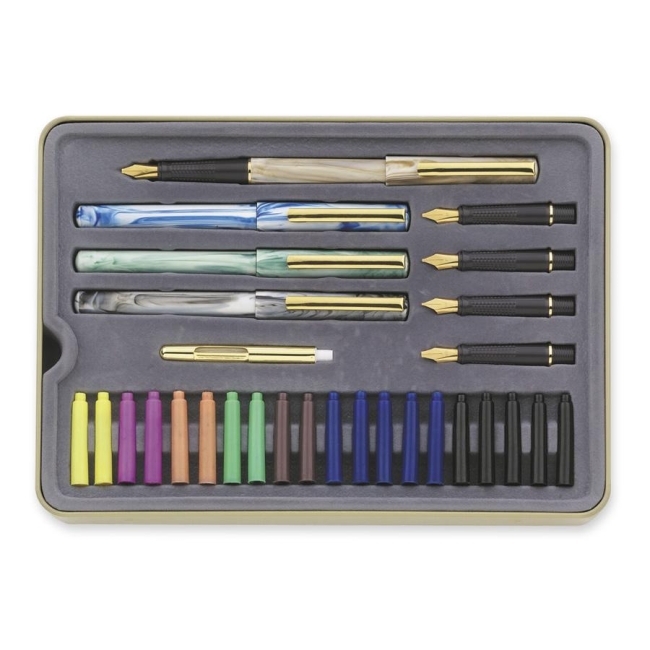 Pen set has four marbleized barrel colors and a practice pad with preprinted slant lines. Comes in a metal case.